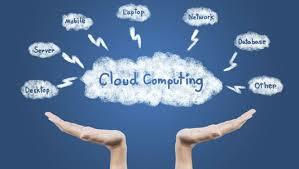 The general purpose of this article is to analysis about cloud computing. The word cloud computing has become incredibly renowned nowadays and has been adopted by mainly of the IT infrastructure organization firms. Cloud computing is fundamentally an internet based computing technology where centralized distant servers and internet is mandatory. This technology permits the businesses and users to distribute and save their files and applications without installing on their own computers and it can be done in numerous ways.